I have joined in for my second product swap through Jessica Stanford's blog. I was lucky enough to be paired with Ellen Closs, otherwise known as Beach Teacher. Not only am I lucky to have been matched with such a kind and creative teacher, but she also let me review TWO of her products!!!! See what I mean???? She ROCKS!!! Click below if you'd like to just hop right over and pay her a visit on her blog or at her store. 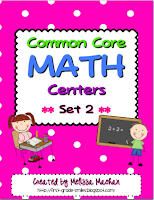 She has TONS of fun games and activities for both Math and ELA. 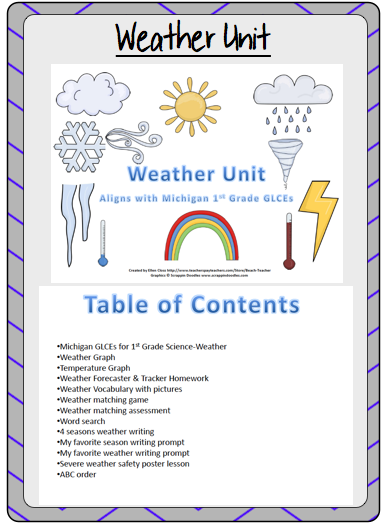 I had the privilege of using and reviewing Ellen's Weather Unit and Football Math. 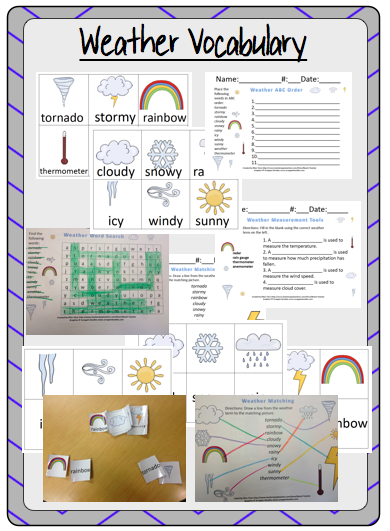 My students had lots of fun working through the Weather Unit. Right now my students are working on their posters. They really enjoyed the variety of activities that were included in this unit. 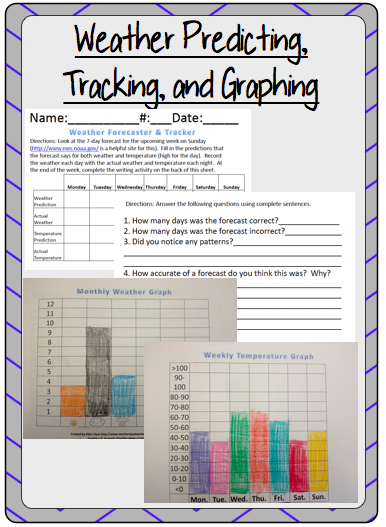 I wanted you all to see the great activities too, so I tried to mix some of my student's work along with snapshots of the activities in this unit so you could see for yourself. 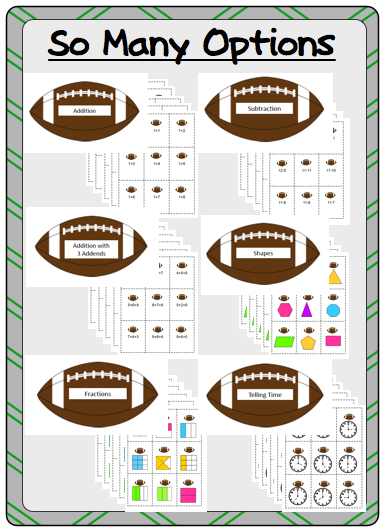 Next up was Ellen's Football Math games. 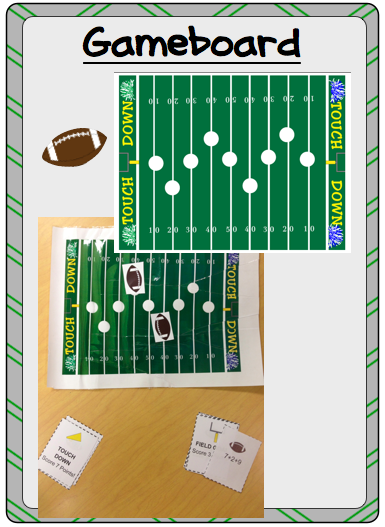 This game is so fun and can be used and reused with different concepts. As you'll see below, she has included playing cards for Addition, Subtraction, 3 Addend Addition, Fractions, 2-D and 3-D Shapes, and Telling Time. 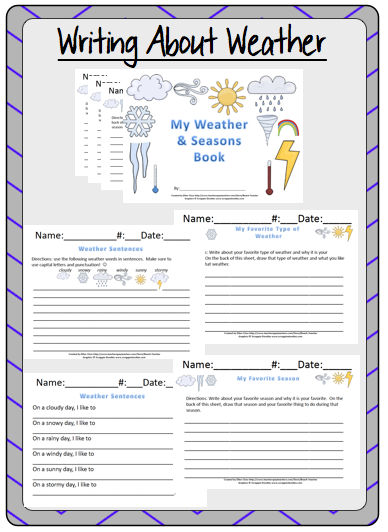 We used the 3 Addend Addition first and I plan on using the Telling Time cards next. I also can't wait to break these games out next year around Super Bowl season! Take a peek below to see the game in action. 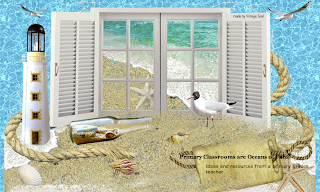 Be sure to head on over to Ellen (aka Beach Teacher's) blog and TpT Store to pick up a copy of these awesome products. You can also enter below to see if you can be lucky enough to win all 3 products in the swap. You should also head over to Ellen's blog so you can read her review. She is reviewing my Common Core Math Centers - Set 2. Click on the picture to check it out. And of course, don't forget to enter the giveaway so you can win ALL of these products!!! Those activities all look great!! I'm off to enter the contest! Love this and thanks for the chance to enter your giveaway! I love your stuff! 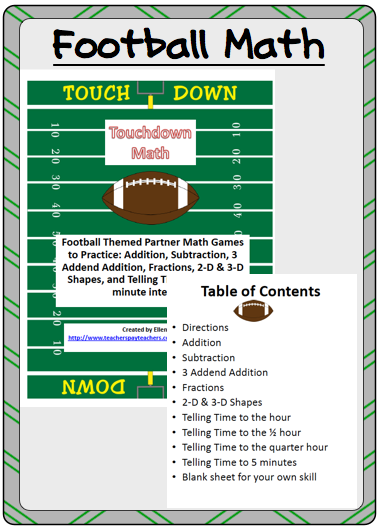 I love the combination of football and math! 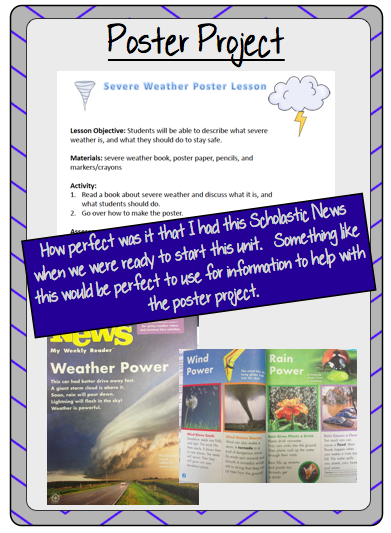 I like the weather unit for its poster project!